Archive for "Glen Ellis Falls"
Glen Ellis Falls in the White Mountains of New Hampshire can be viewed after a .2-mile walk down (and back up) stairs and treacherous stepping stones. The walk is worth the view! 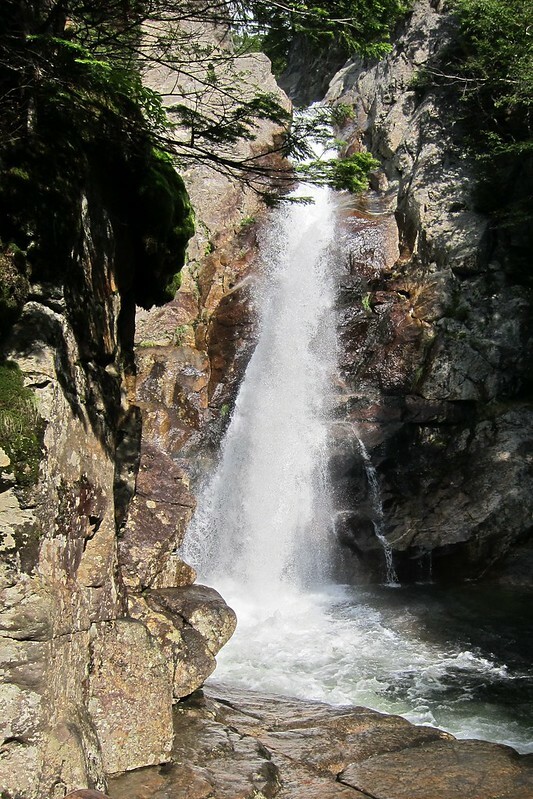 The falls is part of the Pinkham Notch State Park. To view a slideshow of our walk to the falls, click on the photo below.